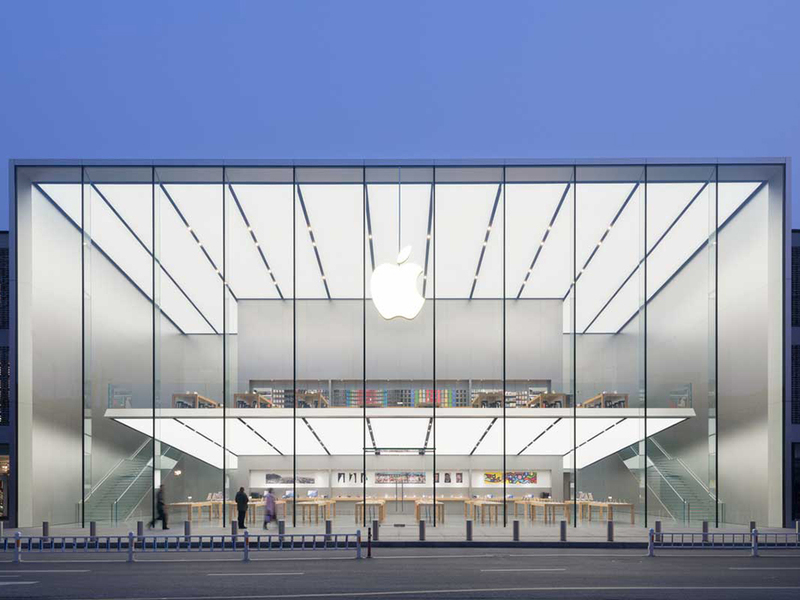 Apple’s newest Foster + Partners designed retail store in Hangzhou, China literally pushes the limits of what can be done with modern structural engineering. 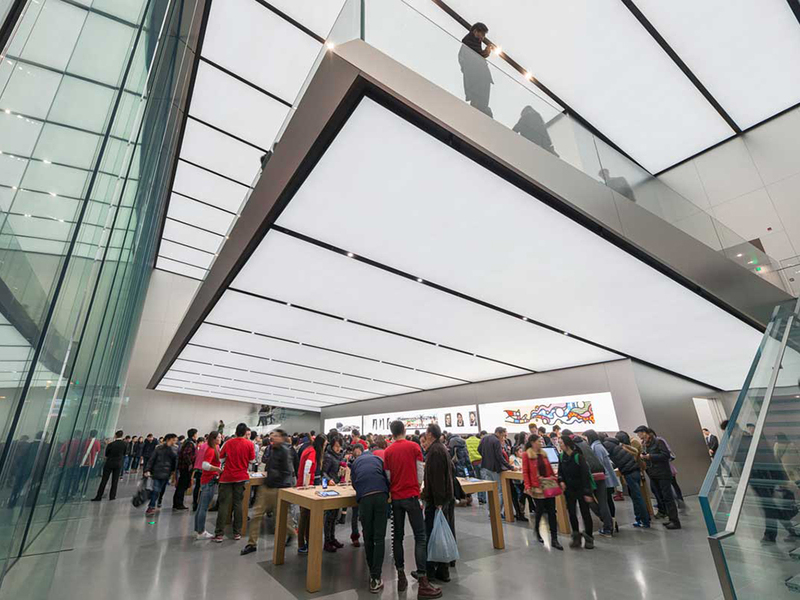 This British architecture firm designed Apple store is one of the five new stores opening in China, and features a free-floating second floor in a 50-foot-tall, starkly minimal glass box. 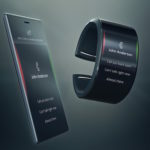 As Wired puts it, the design makes perfect sense for Apple, as it is suggestive of the products sold within, and is sleek and consistent with the company’s product packaging. The Hangzhou store’s ceilings are almost 50 feet high, with no columns to be found. 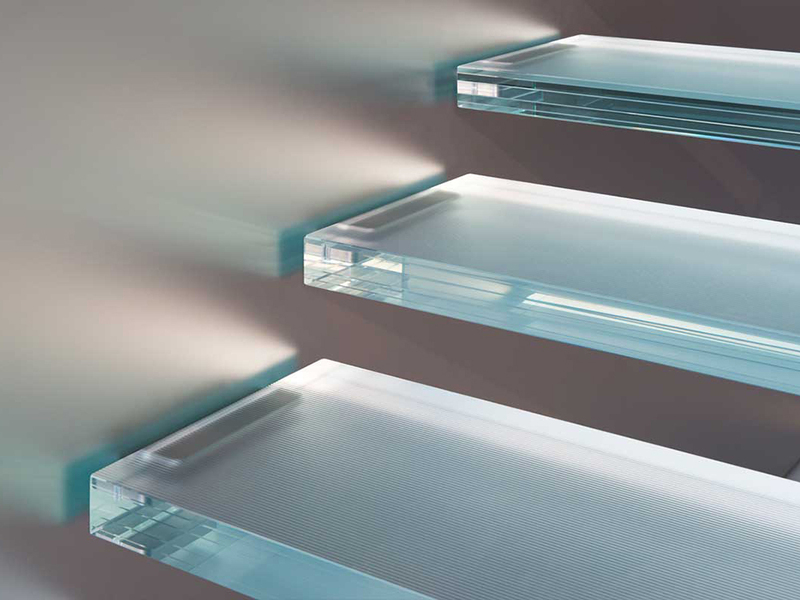 The façade of glass panels reaches from floor to ceiling without interruption, meaning the architects had to push well beyond their previous feats in glass manufacturing to get 11 seamless panes. 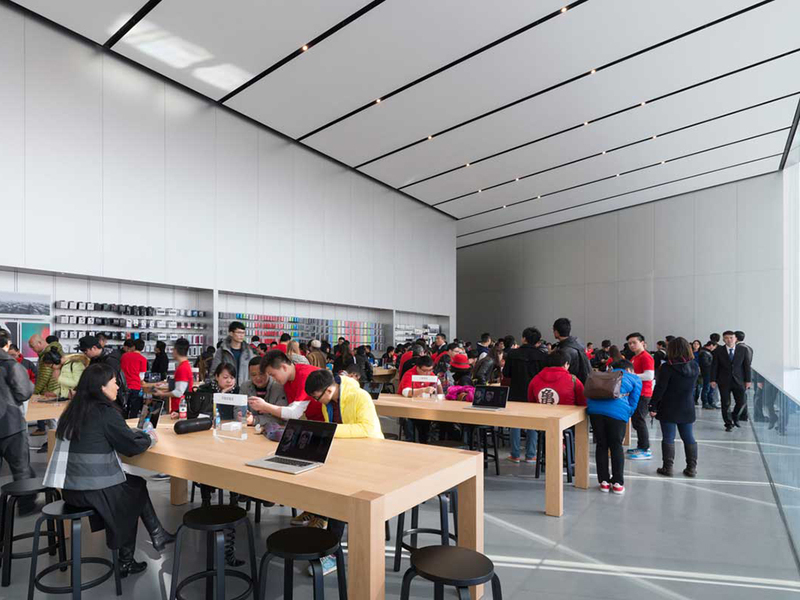 In comparison, the glass cube that leads to Apple’s iconic Fifth Avenue store in New York is 32 feet tall, and the curved glass entrance to the store’s Shanghai store is 40 feet in height. The airy interior is broken apart by only a thin cantilevered second floor—just 10 centimeters at its thinnest. It floats over the first floor with no suspension or support in sight, creating a glowing ceiling over the trademarked retail space on the ground floor. Tuned-mass dampers were installed at the floor’s anchor points, to keep footsteps from causing the floor to sway. That’s not a new technique—after all, skyscrapers in Japan use those massive, suspended counterweights to keep skyscrapers from moving during earthquakes.But such technology has little precedent in a mere retail space. The architects call it “a new living room for the city.” But it’s a really, really nice living room. 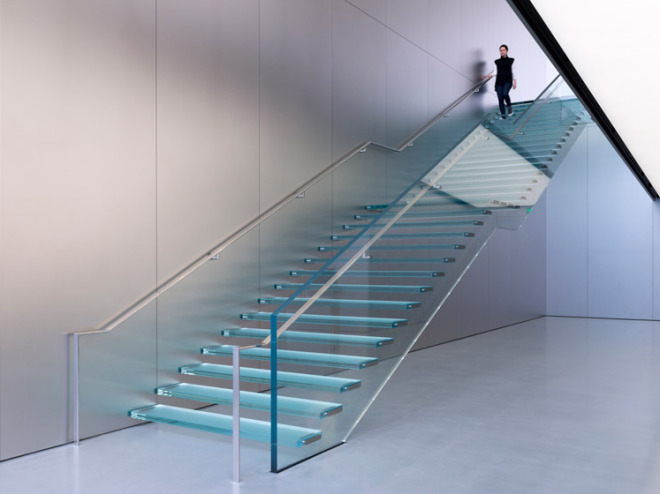 Even the bolts used for the staircase are precisely embedded within the glass steps, creating the illusion of a glass staircase that’s hovering off to the side. Check out some more pics of this architectural marvel, and don’t forget to share your thoughts with us.